Jumping the Line is the life story of an American original. Jumping the Line offers a vivid first-hand account of Left culture in America's heady days of the 20s through the 40s. William Herrick grew up in New York City with pictures of Lenin above his crib. He provides colorful reminiscences of riding the rails with other hobos during the Depression, of organizing Black sharecroppers in the South, of his time on the anarchist collective Sunrise Farm, where his political ideals of communal living and self-sufficiency were tested by the very real demands of agricultural work on a city boy, up through his tumultuous relationship with his employer, Orson Wells. 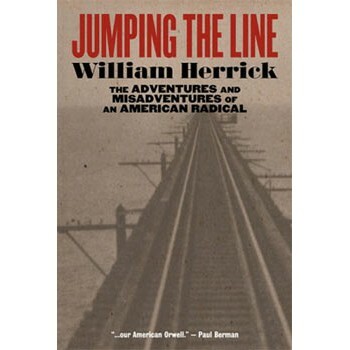 Herrick chronicles a life of great conviction and great disillusion. He went to Spain in 1936 to fight against the Fascists and there witnessed the horrifying acts that Fascists and Communists alike committed, before he was felled by a near-fatal wound. Here he tells about the life that led him, a working-class Jewish kid from New York, into the idealism and then the murky politics of this internecine conflict. From the bloody fight in Spain he takes us to the battlefields of the Communist movement in the U.S., where he found himself parading up and down the garment district of Manhattan, denouncing his former comrades.